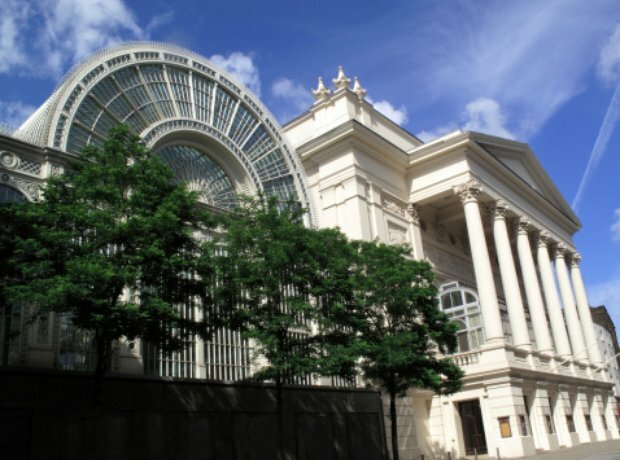 The Royal Opera House Covent Garden in London is home to opera, ballet and other theatre and musical performances. While your tickets can get you into a world-class production, they can't get you backstage to meet the people who make it all happen. Here Wynne Evans takes a look 'behind the curtain'. Wynne is singing the role of Scaramuccio in 'Ariadne auf Naxos' by Richard Strauss at the opera house this season, and to document the experience he'll be doing a special 'Behind The Curtain' show for Classic FM. Roberto Alagna has returned to the Royal Opera for the 2013/2014 season to play Cavaradossi in Puccini's 'Tosca'. Speaking about this special place, Alagna says, 'If you like to dream and realise your dream, come here to listen to opera at Covent Garden.' He also had time for an obligatory pic with Wynne. Lads. Wynne meets Rob Barham, Head Armourer at the Royal Opera. Rob provides all the guns, swords, daggers, leather for holsters, and other military accessories. So not a niche role at all. Careful Wynne, he might think you're a trespasser. Oh, it's fine, he's let him in without shooting him. Rob gives Wynne a tour of his workshop in the depths of the Royal Opera House, and the metal, leather and wooden theatrical delights that lurk within. Each season, Cheryl Knight - Opera Footwear Supervisor in the shoe department - sources more than 2000 pairs of shoes for Royal Opera productions, from traditional Japanese sandals to 50s-style court shoes. And those are just for Wynne. This is the spectacular view of how the auditorium of the Royal Opera House looks from the very apex of the ceiling.